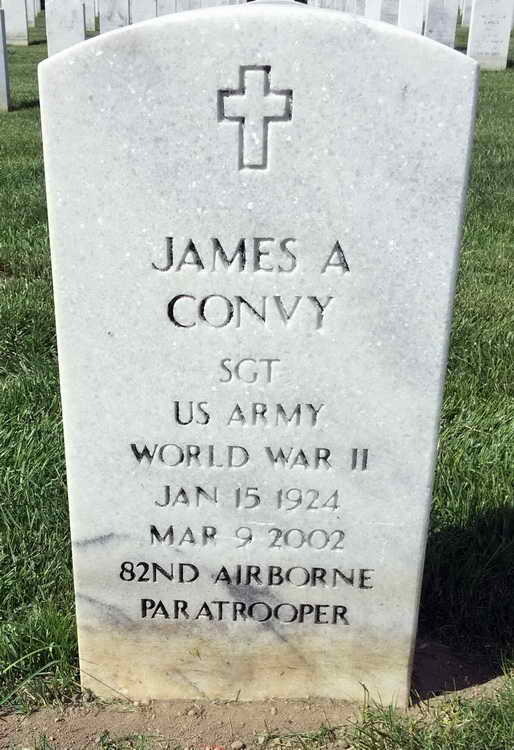 Grave marker for James A. Convy Section 25, Site 2191 of Calverton National Cemetery, Calverton (Suffolk county), New York. James served in Headquarters Company, 3rd Battalion, 508th PIR. The date of his arrival thre is unknown. Cpl Convy was awarded the Bronze Service Arrowhead device for the Holland campaign and Airborne operations. Cpl Convy also fought in the Battle of The Bulge where he was with the machine gun section. He was later promoted to Sergeant and received the Good Conduct medal His military decorations also include the bronze service Arrowhead device for the Holland campaign and Airborne operations. 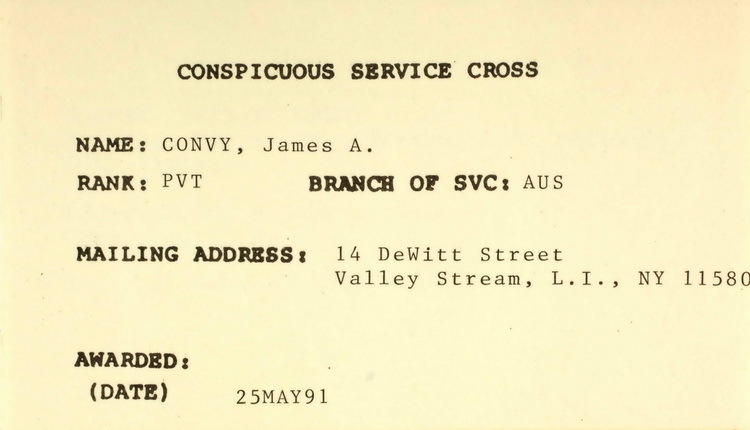 On 25 May 1991 James was awarded the Conspicuous Service Cross by the State of New York.